It’s important that we find the right telecoms solution for your business ensuring that you end up with a reliable, cost effective solution which allows you to communicate effectively with the outside world. Our team will manage your telecoms for you, leaving you to run your business. Communication’s & convergence with data networks is now part of every company’s information infrastructure. These systems have become the nervous system of the enterprise. Indigo IT has great deal of knowledge & experience in telecommunications and can offer solutions for a wide range of requirements. Integrating voice & data is a great way of leveraging cost and providing flexibility to businesses. No longer do companies have to feel geographically constrained, or tied to their infrastructure. 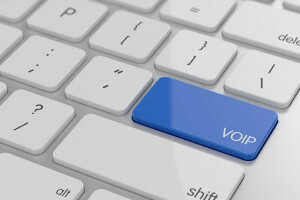 As with cloud computing, cloud telephony is also here to stay. Indigo IT is a specialist provider of data communication and telephone systems through its TeamCall brand of telephony services and solutions. We have a host of telecommunication Solutions packed with features and cost saving benefits. The important point to note is that these items are only elements in a business solution and that we look at each requirement on its own merits be that a managed multi-site private network or a simple connection to the internet for a small number of users. Security and quality of service can never be jeopardised when your company or customer data is involved. Optimising data and voice networks must be done with this in mind, so we ensure all Indigo IT engineers and project managers have expertise in both data and voice to provide you a one stop networking partner. As voice and data traffic merges so the ability to take advantage of new applications and technology is available. Indigo IT has the experience to identify how best you can take advantage of this convergence from the underlying network infrastructure, the security of your data and applications used for improved business performance.